Barça Lassa are the Asobal Cup champions atfter a 28-22 victory over Ademar de León in the final. The runners-up, also hosts of the tournament, were never really in the game with the blaugranes never once relinquishing their league. Xavi Pascual’s side started well but were a little unlucky in front of goal. Fortunately, their defence held tight with the blaugranes 2-0 ahead with eight minutes played. Gonzálo Pérez de Vargas in goal for Barça was in stellar form whilst Barça were denied by the woodwork. As the first half progressed, Barça assumed control with Aleix, Dika Mem and N’Guessen starting to find their goalscoring feet and at half time the blaugranes were 15-11 ahead. At the start of the second half, León reduced Barça’s lead to four goals. The blaugranes again relied on the skills of N’Guessan, Dika Mem and Rivera and the goalkeeping skills of Pérez de Vargas. The keeper was voted best of the tournament with Rivera winning best goalscorer and Entrerríos as best player overall. 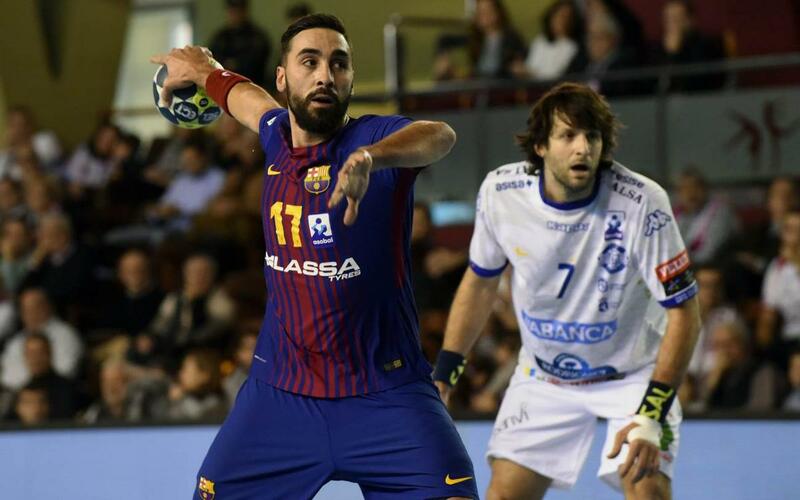 Barça held firm in the final minute and their victory was never in doubt as they claimed their seventh consecutive Asobal Cup title.